The seminar will take place at 16h00, the 19th of March 2015, in the ENSCBP Amphitheater (Bldg B, Allée Geoffroy Saint Hilaire, Pessac). PLATFORM SEMINAR: Mass spectrometry, how, what for, where? CBMN Biological Mass Spectrometry team. Mass spectrometry has the capability of providing molecular mass measurements for compounds in a very wide range (from a few daltons to several millions of daltons), while opening the access to a detailed structure characterization of these compounds and their quantitative measurements at the attomole level in complex samples. Such high performance levels rely on powerful instrument combinations, but also dramatically depend on adequate sample preparation. The presentation will cover numerous aspects of mass spectrometry, including essential considerations related to proper use of mass accuracy and resolution, principles of ionization modes, mass analyzers and their combinations, and sample preparation. Capabilities of methodologies based on mass spectrometry for discovery of compounds and their quantitation will be highlighted with applications in the field of proteomics and lipidomics, as well as molecular imaging. The CBMN Biological Mass Spectrometry team is located at the Functional Genomics Centre in Bordeaux. There, 7 tandem mass spectrometers are shared with the Proteomics Platform in an ISO 9001 / NFX 50-900 certified context. Research activities of the team are in the fields of proteomics and lipidomics, using strategies relying on mass spectrometry to investigate protein-protein interactions, protein post-translational modifications, and characterize the structure of complex lipids in various contexts. Corinne Buré is Research Engineer in the CBMN Biological Mass Spectrometry team. After a PhD in Analytical Chemistry obtained in 2005 at University of Orléans, she first worked for Perkin Elmer and Gilson companies, before joining the Centre de Biophysique Moléculaire in Orléans. Having joined CBMN in 2007, she pioneered research in lipidomics in the Biological Mass Spectrometry team, including recently molecular imaging by MS. Corinne Buré contributed to 23 research articles in the field of mass spectrometry, as well as to 2 book chapters. Jean-Marie Schmitter is professor at University of Bordeaux and head of the CBMN Biological Mass Spectrometry team. 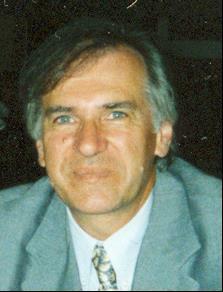 After a PhD in Analytical Chemistry at University Paris 6, he was a CNRS research scientist at Ecole Polytechnique first in the Analytical Chemistry laboratory (up to 1985) and then in the Biochemistry laboratory (up to 1996). Having joined the University of Bordeaux in 1996 as a professor, he was among the first 6 group leaders of IECB and launched a research activity in biological mass spectrometry in Bordeaux. His team is now located at the Functional Genomics Centre in Bordeaux, in joined activity with the Proteomics Platform on this site. Jean-Marie Schmitter contributed to 175 research articles and 5 book chapters in organic geochemistry, analytical chemistry and biochemistry, proteomics and lipidomics.